Hiding the truth is a very serious thing to do. It causes harm and disappointment and causes one to be misled. It causes loss of property and life. It causes the loss of friendship, beloved ones, and loss of confidence and trust. In court, it causes heavy penalties and someone’s being sent to prison or to death for that of which they are innocent. As you know, the Revelation of the Bible under the title of John, teaches us that the old dragon beast (referring to the White civilization) deceived the whole world, and they have done just that. Allah has taught me they deceived 90 per cent of the total population of the planet earth. The only way the White race can survive and rule is by making false appear as truth and truth to appear as false. The White race was made by nature without the truth. Jesus said (Bible John 8:44) that there was no truth in them, for their father was a liar and a murderer. Therefore his children (White race) cannot be otherwise. We should know the truth of the seriousness of the time that we are now living in. The truth will save our lives if we believe it. America is at war with the darker people (Brown, Yellow, and every race regardless of color) today, but she refuses to tell you the truth of this war that is now taking many lives. This is hiding the truth. What is she trying to get peace for? If these people’s losses are as great as the radio and other news media state, the enemy would be on his knees begging for peace. It seems as if it is now vice versa. This is hiding the truth. Allah has said to me that America will not admit the truth of her losses until we see it on our heels. The Black Man of America never has put any confidence in anyone but his White slavemaster. Regardless of how ill-treated the Black Man may be, he still has hopes of his master telling him the truth. 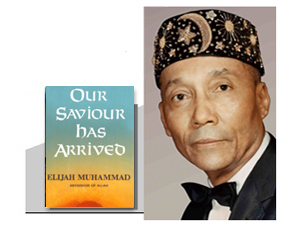 The real truth is that America is under Divine Judgment to destroy her for the evils done to Allah’s people (the Black Man in America). Hiding the truth takes away confidence, trust, and love.